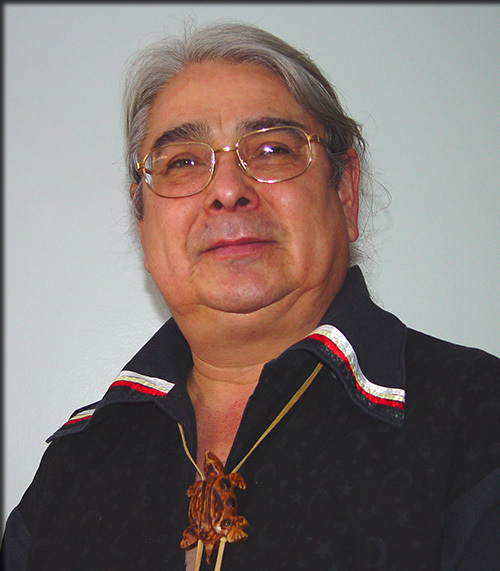 Biologist and longtime director of the Mohawk Council of Akwesasne Department of the Environment, Henry Lickers will receive an Honorary Doctor of Science degree from the SUNY College of Environmental Science and Forestry (ESF) during Convocation May 10. Lickers is an internationally recognized Haudenosaunee leader on matters of indigenous knowledge, science and conservation. For some 30 years, Lickers has been director of the Mohawk Council of Akwesasne Department of the Environment. He has served as co-chair of the Committee on the Status of Endangered Wildlife in Canada Aboriginal Subcommittee, scientific co-chair with the Haudenosaunee Environmental Taskforce, vice president and board director of the St. Lawrence River Institute of Environmental Sciences and the Eastern Ontario Model Forest. He has also served as member of Environment Canada's Science and Technology Advisory Council, the International Joint Commission Science Advisory Board and the Panel on Ecological Integrity of Canada's National Parks. Lickers is the author of the Haudenosaunee Environmental Action Plan and several influential writings on indigenous perspectives on resource management and environmental protection. He has worked with Parks Canada for incorporation of traditional ecological knowledge and has been affiliated as an instructor with Trent University, Indigenous Environmental Studies Department. He is a sought-after lecturer and has given keynote addresses at Ecological Society of America, Dalhousie University, Michigan State University, Virginia Tech, McMaster University and others. Lickers is a member of the ESF Center for Native Peoples and the Environment Advisory Board and a teacher at Native Earth Environmental Youth Camp. He is a co-principal investigator on the NSF-IGERT grant submission "Helping Forests Walk" and was the speaker at the Feinstone Award dinner in 2011.